MOSCOW, March 19. /TASS/. Kazakhstan’s President Nursultan Nazarbayev has congratulated Vladimir Putin on winning the Russian presidential election, Nazarbayev’s press service said on Twitter. "Nursultan Nazarbayev and Vladimir Putin have held a telephone conversation," the tweet reads. "The president of Kazakhstan congratulated Vladimir Putin on winning the Russian presidential election," the press service added. "Under your effective guidance, Russia has been firmly pursuing the path of large-scale political and economic reforms aimed at improving people’s social conditions and ensuring the country’s active role in resolving pressing global and economic issues," Nazarbayev said in his message. "I would particularly like to highlight your personal contribution to the development of friendly and good-neighborly relations between our countries, which constitute an example of strategic partnership and allied relations," he added. 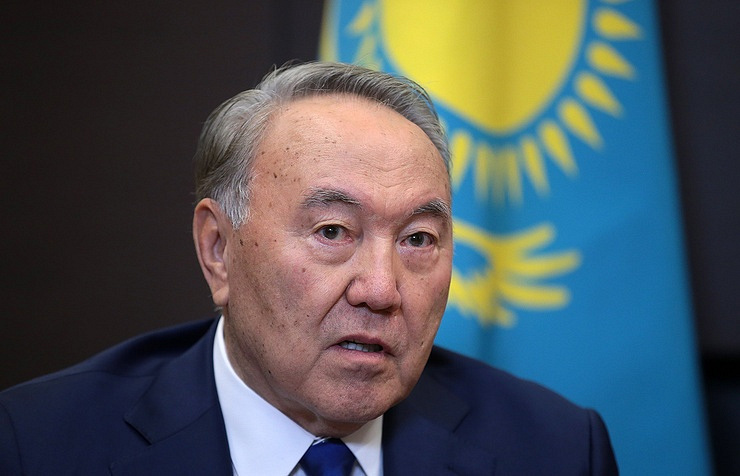 Nazarbayev stressed that Kazakhstan "is determined to continue boosting ties with Russia at bilateral level and within the Eurasian Economic Union for the good of the two countries’ people." "I highly value our friendship based on trust and mutual understanding. I am confident that our further joint activities will continue to serve as a solid basis for successful dialogue between Astana and Moscow on the entire range of our multi-faceted cooperation," the Kazakh president noted. 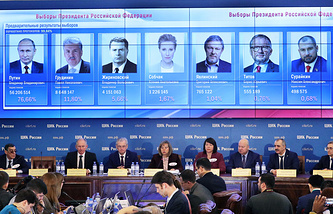 According to Russia’s Central Election Commission, incumbent head of state Vladimir Putin has garnered 76.65% of the vote in the March 18 election with 99% of the ballots counted.